NOA Solutions primarily offers advice on and installation of solar panels, alongside asbestos surveys and advice and information on the government initiative, The Green Deal. They did not have an online presence and approached First Internet to design and develop their website from scratch. The site features a ‘solar calculator’ to help visitors calculate how much they could save, over what period of time, by installing solar panels. 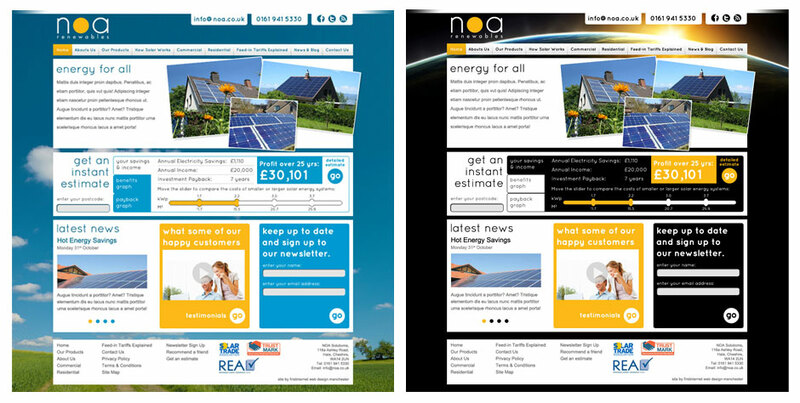 The design of the website changes from day to night depending on what time of day you view the site.